Cataract surgery is a safe and straightforward process that will improve your vision and help you lead a normal lifestyle. Cataracts cause the eye lenses to become cloudy, preventing light from reaching the eye, and hindering normal vision. Cataracts usually occur in older adults, and they are especially common in those with diabetes. Fortunately, your ophthalmologist in Chicago can reverse this condition and improve your vision with cataract surgery. 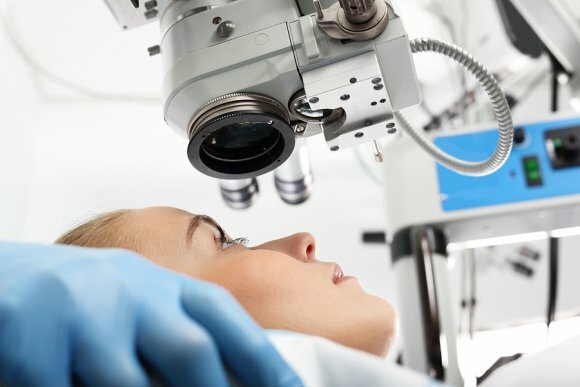 The cataract surgery process begins with an evaluation by your eye doctor. He or she will perform several tests to see how severe your cataracts are. Then, the optician will explain the cataract treatment process to you, along with its risks. With your consent, the eye doctor will begin the surgery by giving you a local anesthetic. He or she will break up your clouded lens using sensitive ultrasound vibrations and remove it using suction. Finally, the doctor will replace the old lens with a new, artificial one. Upon your request, this new lens can be modified to give you better vision than you’ve ever had before.